Monsters of Schlock needs YOU! 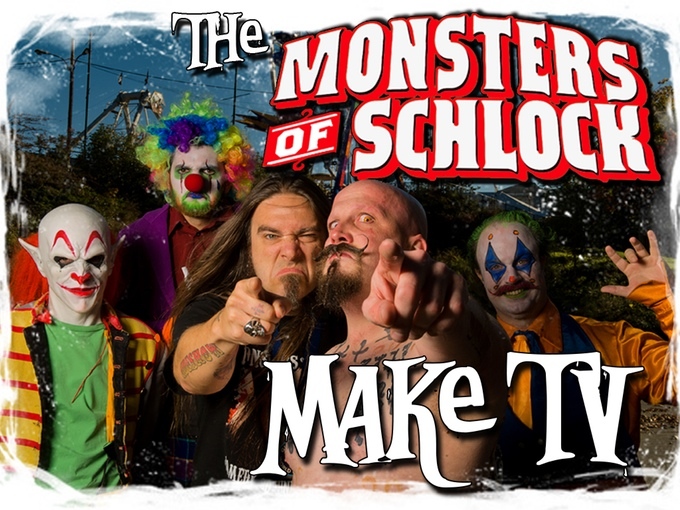 21 time Guinness World Record Breaking freakshow and body modification enthusiasts the Monsters of Schlock need your help in reaching their crowdfunding goal of making their sitcom pilot into a TV series! The great Orbax, longtime BME contributor and emcee of the Toronto BMEFests, along with his brother Sweet Pepper Klopek the barb-wire bat wielding lead singer of the BMEFest fan favourite the Legendary Klopeks, have been traveling the world for the last ten years with their comedy freakshow. They’ve achieved some amazing feats in that time such as Sweet Pepper’s Guinness Record for the most mousetraps released on a tongue in one minute (https://youtu.be/64L5Vz5AaUc) and Orbax’s record for towing a 9000 lb truck for 111.7 metres using two shark hooks in his back (https://youtu.be/USgV62alu1U). Last year they shot a sitcom pilot, entirely funded and produced on their own. You can see it on YouTube (https://youtu.be/GXslnT8HUZk) or watch it below. The concept is Flight of the Conchords meets Super Dave Osborne, but with a freakshow twist. Their Kickstarter has rewards ranging anywhere from buying the DVD’s to getting your own personalized stunt, to having them show up at your house and do their live freakshow! The only way the TV series is going to happen is if they can raise the money to pay for production, and that means that the only way you’ll get to see it is by pledging. Head over and help them out (http://kck.st/1F9O4Ut). This entry was posted in ModBlog and tagged Fundraising, The Great Orbax by Jen. Bookmark the permalink.